The major talking point for any organization in today’s business world is digital transformation. However, before we embark on the journey of digital transformation, it is very important to ask ourselves, “Why do we want to do it?” It is in this answer that the strategy of a company’s digital transformation lies. Companies are in a constant cycle of creating, monetizing and defending value. While the cycle keeps repeating itself, the way a company goes about this cycle changes over time. Digital revolution has changed the way a company creates value for its stakeholders. This gives companies the much needed competitive edge. 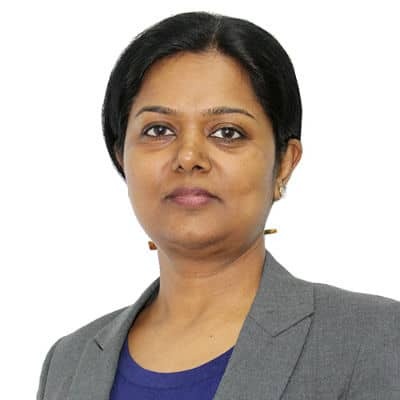 Preethi Menon, VP & Head – Practices, Clover Infotech, talked about their digital transformation journey to transform finance function and cater the challenges they were facing. According to Preethi, At Clover Infotech, we were faced with the pressing need for optimizing our finance function. The legacy software that we were using lacked efficient reporting, interactive dashboards, scalability, self-service capabilities and integration with new-age technologies. The system could not break down financial data to granular insights across products, regions, etc. We encountered several challenges with our exponentially growing enterprise financial data as we ventured into new markets and broadened our services offerings. So, we moved to Oracle ERP Cloud for Financials, Project Contracts Billing and Project Financials. The implementation was done by our team of in-house Oracle ERP experts in just three months. Oracle ERP Cloud was able to address many business challenges, including those associated with the changing taxation laws in India, the advent of GST (Goods and Services Tax) and its impact on numerous end customers. Oracle Fusion Financials Cloud has helped us in streamlining the entire contract booking and project profitability analysis. By leveraging the Financial, Contracts and Project modules, we have been able to achieve better analysis of financial data, accurate recording of revenues and managing expenses. The Oracle ERP Cloud implementation enabled us to support localized tax rules, capture revenue and expenses at a granular level, and significantly reduce data processing time. As a result, the Senior Management was able to get a holistic and customized view of business data for better analysis, decision-making and reporting. Digital Solution and Frameworks: We have implemented Oracle Fusion Cloud Rel.13 Update 17D. This implementation comprises of financial modules of General Ledger, Accounts Payable, Accounts Receivable, Fixed Assets and Cash Management, Project Contracts Billing and Project Financials. This critical move has helped us to leverage the multiple benefits that a cloud solution can offer – ubiquitous access, enhanced security, and scalability on demand to cater to additional bandwidth requirements. After the implementation of Oracle Fusion Financials cloud, the time to enter a contract to billing-cycle has reduced by 25-30%. As contract revenue is now accounted as per product and regions. The management can now perform a detailed analysis and concentrate on growth prospects. It has also helped in focusing business strategies to specific technologies and geographies. This is expected to contribute 15-20% to the revenue growth in the short term. It has helped us in streamlining the entire Contracts Booking and Project Profitability analysis, as we did not have the provision to add costs in our earlier system. It is a significant improvement over our earlier system which was very complex owing to disparate cashinflowss, outflows, non-configurable tax rules and non-flexibility to break down financial data. With Oracle Fusion Financials cloud, we have been able to record revenues and expenses seamlessly and achieve better financial data analysis.